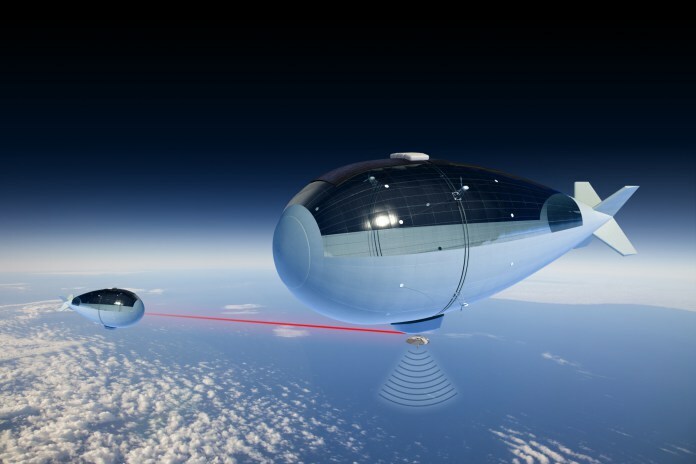 High-altitude platforms (HAPs) are aircraft, usually unmanned airships or airplanes positioned above 20 km, in the stratosphere, in order to compose a telecommunications network or perform remote sensing. The most common types used as HAPS are airplanes, airships and ballons. The specific altitude range (20km) that adopted for HAP operation is motivated by the fact that in these altitudes the wind speed is less intense and, as a consequence, the HAP requires less power to maintain position. The main HAP applications are in telecommunications and remote sensing, both civilian and military. In the area of telecommunications some of the advantages of HAPs in relation to terrestrial networks (relay towers) are larger coverage area, less interference caused by obstacles (buildings, ground elevations) and shorter time to deployment. Compared to satellites, HAPs have the advantages of lower latency (transmission delay) and the possibility of return for maintenance or payload reconfiguration. For remote sensing, HAPs have as an important advantage over satellites, mainly the low orbit ones, the ability to remain continuously over an area for very long periods (persistence). Another advantage is to permit better resolution images, because they are closer to the covered areas. In this framework Hemustech Technologies is conducting research on the use of Haps and their applications in order to achieve innovation results with high scientific interest, as well as social benefits.